This article has been updated. Click here to see update. 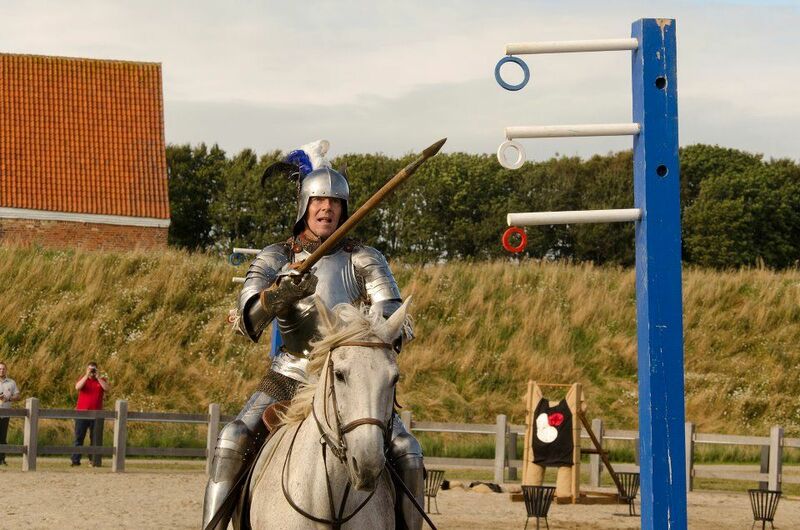 At the end of the fourth day of the European Championship Jousting Tournament being held at Spottrup Castle in Denmark, the defending champion, Klas Lundberg of Sweden was still in the lead. Hometown favorite Ole Bach trails by only two points. 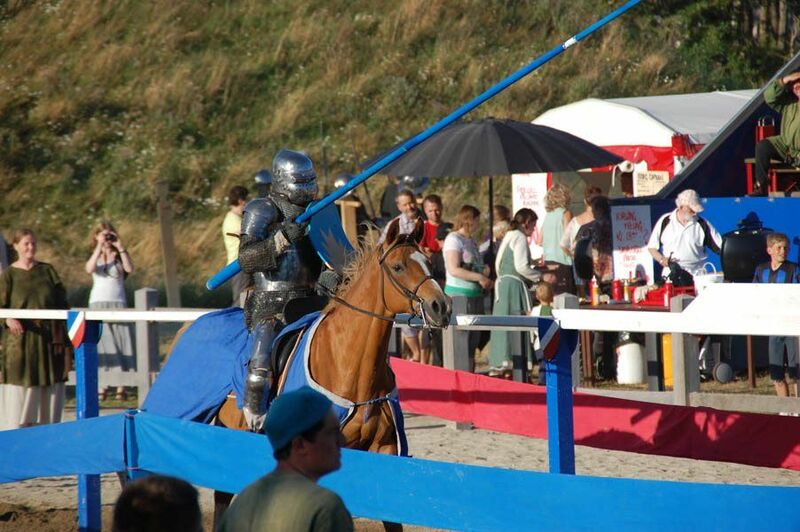 The two jousters are poised for a photo finish during the finals of the tournament on Friday. 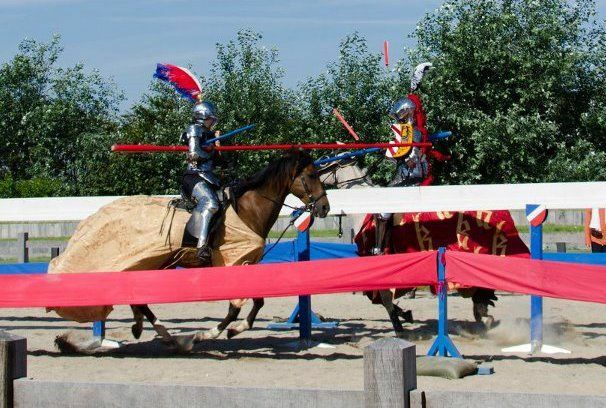 Surprisingly neither of the overall tournament leaders actually scored the most points during the second day of jousting competition. Joakim Løvgren, a Danish jouster in his debut tournament actually outscored all the more experienced jousters during the semi-finals, earning him his place in the finals on Friday. 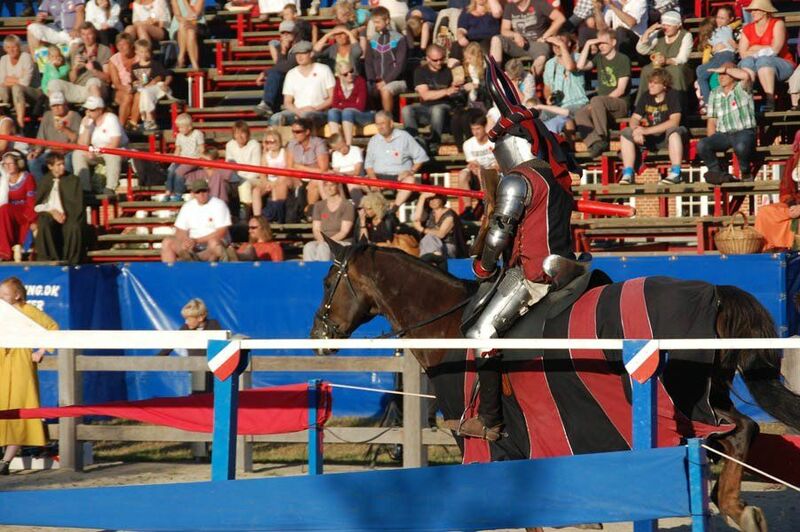 Sadly injuries have caused several other jousters to withdraw from the competition before reaching the finals. Female jouster, Sarah Hay, who is from Australia but was competing for the English team, was in third place overall at the end of the first day of jousting. Unfortunately, in the last pass of the day, her right knuckle was broken, ending her ability to compete in this years tournament. 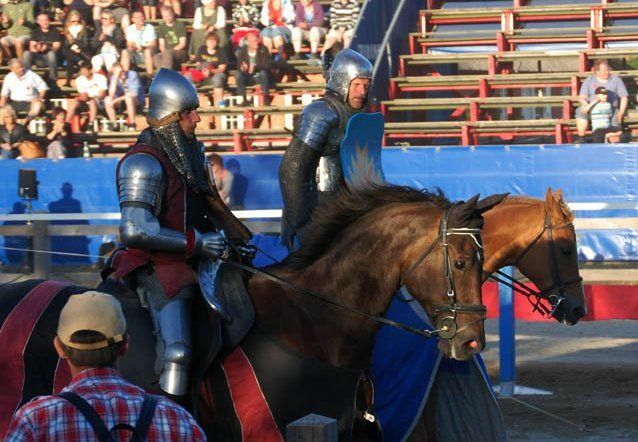 During Thursday's semi-finals competition, Steve Hemphill, an American jouster competing on the German team, suffered a shoulder injury and had to withdraw from the competition. He had already earned 82 points, and who knows how far he could have gone if he had not been injured. Toin Peeman of The Netherlands was injured in his last past against Nicky Willis of England. He had already earned his place in the finals, but it is uncertain whether he will be competing in them. The decision will be made based on how he feels Friday morning. With Klas and Ole so close in points, the finals should be an exciting competition. Apparently, Klas has been jousting so aggressively that on two occasions not only did he break the tip of his lance which is designed to break upon impact, he actually broke the shaft of his lance as well. 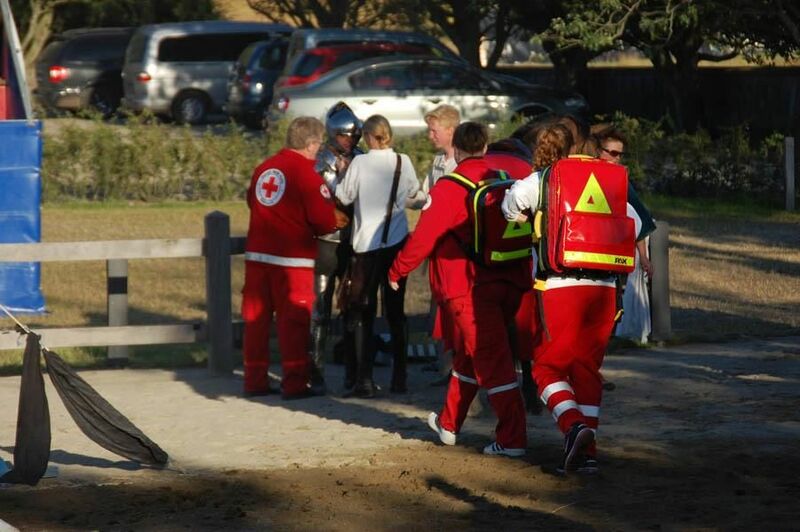 (None of the injuries are attributed to his actions.) And with his hometown cheering him on, it is certain that Ole will be doing his best to finally win the title of European joust champion. Many thanks go to Broder Jakob of Spottrup Borgmuseum and Ronja Knightingale who have been providing me with the information and pictures for these articles.